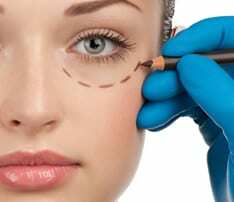 Cosmetic eyelid surgery in San Diego is one of the most frequent aesthetic surgeries performed. Relieving some of the heaviness of the upper and lower eyelids can make the eyes look more refreshed, younger and feel better as well. CAN I GO HOME AFTER SURGERY? The Eyelid Aging Process: What Can I Do Besides Surgery?